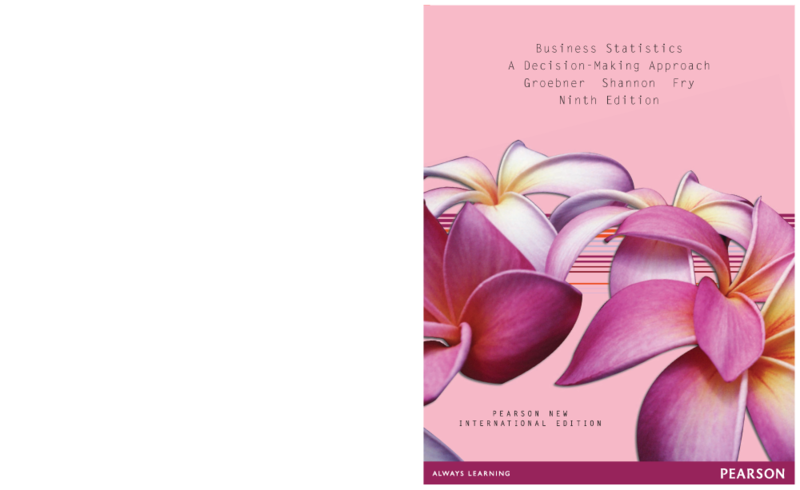 Business Statistics: A Decision Making Approach (7th Edition) by Patrick W. Shannon, David F. Groebner, Phillip C. Fry, Kent D. Smith and a great selection of related books, art and collectibles available now at AbeBooks.com. Business Statistics shows readers how to apply statistical analysis skills to real-world, decision-making problems. It uses a direct approach that consistently presents concepts and techniques in way that benefits readers of all mathematical backgrounds. This text also contains engaging business examples to show the relevance of business statistics in action.